*Clopay Master Authorized Dealer* Pat's Garage Doors & Repairs LLC is a locally owned and operated garage door business located in Greenwell Springs, LA. We have been providing professional garage door services to the Baton Rouge area since 2003, including Central, Denham Springs, Walker, Livingston Parish, Ascension, Feliciana and Zachary. Our business specializes in the sales, installation and repair of overhead doors and garage door openers. We are dedicated to offering the highest quality products from industry leaders like Clopay® and LiftMaster®, and backing them up with expert services at affordable prices. In doing so, we have earned an A+ rating with the Baton Rouge Better Business Bureau. As an Authorized Clopay garage door dealer, we offer all models of both residential and commercial overhead doors. 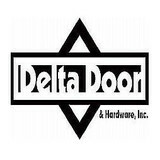 Take advantage of our Design Tools and the experience of our sales team to assist you with your garage door or operator purchase. 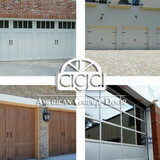 Whether it is a large commercial installation or a new garage door for your home, our service is second to none. Please browse our site and contact us if you have any questions. 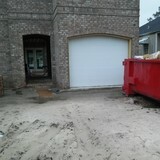 What kind of services do Kenner, LA garage door dealers and installers provide? Find garage door sellers and installers in Kenner, LA on Houzz. Narrow your search for Kenner, LA garage door sellers and installers by selecting the nearest city or zip code. Look at portfolio and product photos, and read reviews to find the best Kenner, LA garage door professional for your home.